Kovno, Lithuania… 1942 – Dr. Gootman escaped from the Kovno ghetto in 1942. Having nowhere to turn, he sought out an acquaintance from before the war, Antanas Andraitis and asked him for help. Without any hesitation, Antanas agreed to shelter Dr. Gootman. Antanas took care of all of Dr. Gootman’s needs. Dr. Gootman’s sons were also in hiding. They would come to the apartment to get some food and to wash. Antanas did everything he could to make it as comfortable as possible for Dr. Gootman. Four months before Kovno was liberated, Antanas was betrayed to the police. However, Antanas was alerted by a friend that the Germans were coming, and he was able to find another hiding place for Dr. Gootman. Dr. Gootman and Antanas remained close friends until Dr. Gootman died. 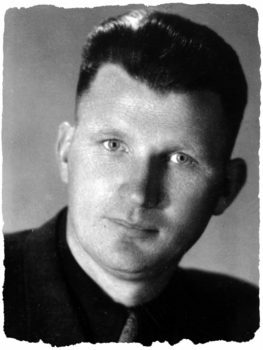 Antanas Andraitis passed away in February 1997.